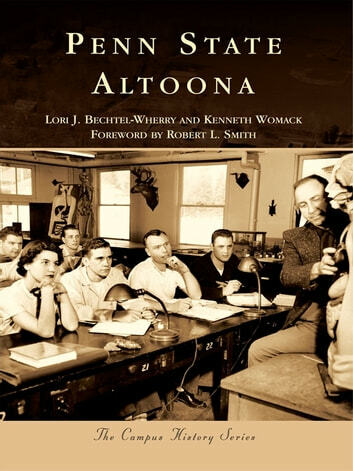 Founded in 1939, Penn State Altoona began its life as the Altoona Undergraduate Center, owing its genesis to an inspired group of local citizens who built, financed, and nurtured the college through the economic woes of the Great Depression, an enrollment collapse engendered by World War II, and the rise and fall of the region's railroad fortunes. After relocating to the site of an abandoned amusement park in the late 1940s, Penn State Altoona enjoyed a rapid postwar growth spurt that culminated in 1997 with its newly minted charter as a four-year college in the Penn State University system. Using lively period photographs from the school's archives, Penn State Altoona chronicles the school's transformation into a flourishing teaching and research institution of national acclaim.